Congratulations! Your child is talented with computers. They could be the next Grace Hopper. Time to encourage this gift, but how? 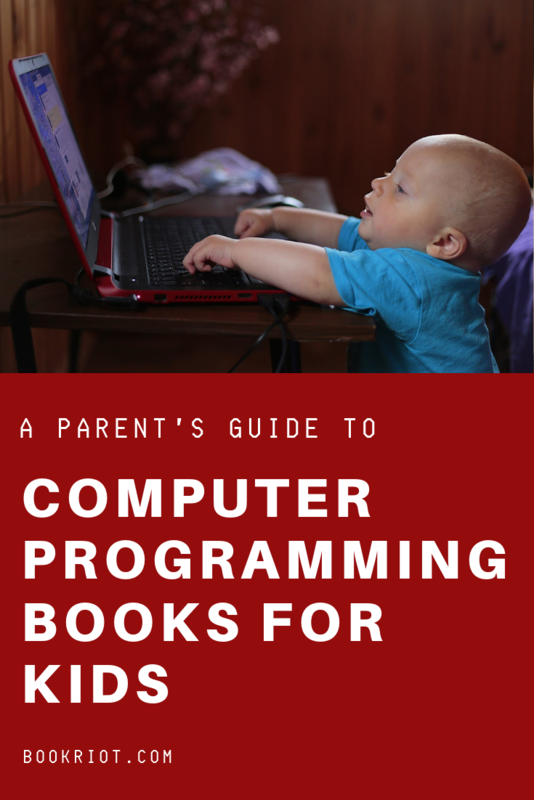 Luckily for you and your brilliant offspring, there’s a great selection of computer programming books for kids out there. Here are a few to get you started. In case you’re wondering what “Java” and “Ruby” are, they’re just computer programming languages where your kid can begin learning. It’s important to mention first that coding has a diversity problem. More than half of the titles on this list were written by white men. There just aren’t enough non-white, non-male people writing programming books, much less programming books for kids, to represent the diversity of the actual population. It’s a problem throughout the computer science world. While the issue of homogeneity in computer science is complicated, books like these can help spur a shift toward diversity. That goes double if they’re made available in schools and libraries, where computers are freely available. Let’s show kids that awesome hi-tech coding skills have no gender or race. You might have heard of the Girls Who Code movement, but have you heard that it’s working? That’s right! This is a great way to introduce middle school girls to computer science. The pun here is that Ruby is its own programming language as well as the name of the main character of this book. There’s a primer on Ruby the language later on this list. 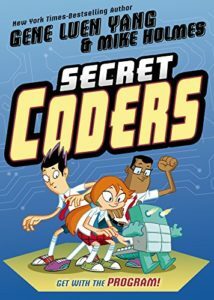 This charming comic book introduction to computer science features an engaging storyline and fun, diverse characters. Yang also wrote Boxers and Saints and American Born Chinese. Java is often the first language programmers learn, but it’s a tricky creature capable of frustrating even the most gifted computer nerds. These books attempt to provide a gentle introduction to a language that your tech-savvy kid will inevitably have to learn. This book is just as good for the classroom as it is for the home. Consider reading and learning together with your kid—adult guidance can be helpful with this one. The nice thing about this particular title is that it gives kids a project. That’s usually the best way to learn Java, and almost always the best way to get hooked! 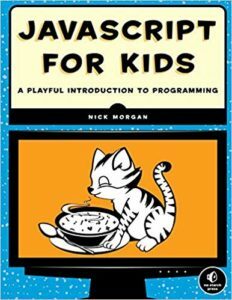 No Starch Press has a ton of amazing, engaging programming books for kids. This one is a great place to start. Don’t be fooled by the “For Dummies” appellation. Your kid’s no fool! This Wiley publication is a great place to start despite the generic title. You might notice that this section features the largest number of books. That’s because Python is probably the easiest language to learn. Tons of games use it, including Minecraft, and the basic grammar is similar to Java. For my fellow olds out there, Python has a playful history: its namesake is Monty Python’s Flying Circus. This book discusses practicalities, like how to save your file, while giving kids access to a powerful tool. No matter what their particular interests are, readers will be amazed at what they can do by the end of this book. Reinventing Tic-Tac-Toe is a great way to learn Python. While your kids are playing around, they’ll also be learning important fundamentals. Minecraft. Enough said, right? 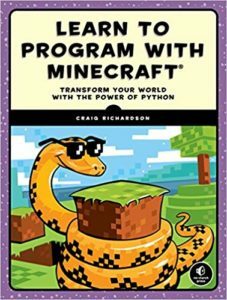 This book is ideal for 9- to 12-year-olds, or anybody who feels like writing their own Minecraft mod. I used this myself when I was learning to code. If you code through the lessons, you get results fast. It’s addictive! Ruby is a nice, simple, open-source language that almost anyone can learn. Students love it because it’s easy, developers love it for Ruby on Rails, which is a framework that makes prototyping a breeze. A kid who learns Ruby today may well continue using it for decades. This is a programming guide with a storyline! Follow Ruben and Scarlet as they learn how to write stories in Ruby. If you have a really young kid—like low middle school—then Scratch may be a good place to start programming. The whole point of this MIT project is to teach children the basics of computer programming. You don’t need to know any special code or language. Commands are just colored blocks that snap together. You drag and drop them onto an active field and then run your program. Both kids and adults get addicted to this fast. (I’m addicted to it, for heaven’s sake. I’ve just spent the last ten minutes teaching a cartoon penguin to do a flip over a lake of fire. Spoiler: he makes it.) This visually appealing game lays the groundwork for high-level programming in a fun way. Try Scratch for free here! Really young kids can use this book without too much trouble, especially if there’s an adult on hand. It’s colorful, very easy, and gets amazing results. 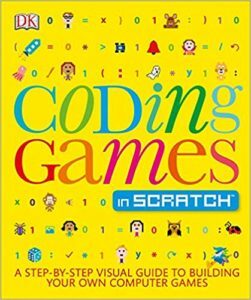 DK has a few great Scratch coding books. In keeping with the publishing company’s style, they’re very picture heavy and ideal for hyper children. This book does not mess around. Scratch may be colorful and fun, but it’s also a great way to learn about loops and algorithms. 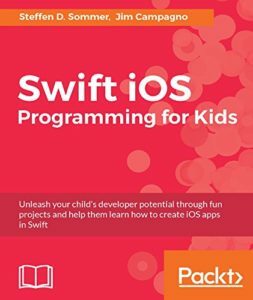 Finally, here’s a way to show your kid the door to real-world app development. Swift supports iOS apps. That’s right: your child could build an app and install it on an Apple device. They could put it into the Apple store. They could make the next iOS Flappy Bird and pay for their own CS degree. Word to the wise: building an app is a lot more work than you’d think. It also takes planning. This is a good step for kids who are already hooked, especially if they’ve developed the requisite sticktoitiveness. While the other books on this list can be useful for children with no experience, this one may be better for a child who has already been through Scratch. However, parents be warned: like many Scratch books, Coding iPhone Apps For Kids also teaches your children how to program a computer to make noise. This title receives a lot of well-earned praise. It’s clear, fun, and generally a great intro to a complicated subject. Don’t be fooled by the boring cover!